Ellen Philpotts-Page, known professionally as Ellen Page, is a Canadian actress. Page received both Golden Globe and Academy Award nominations for Best Actress for her role as the title character in the film Juno. She won back-to-back Austin Film Critics Association Awards for Best Actress for her roles in Juno and Hard Candy. The daughter of a teacher and a graphic designer, Ellen Page took an interest in theater from a young age. She performed in her first local production in the fifth grade and won Canada's prestigious Gemini nomination for her role in the made-for-TV movie Pit Pony in 1997. The busy actress went on to appear in several Canadian television series, including the Pit Pony spin-off, Trailer Park Boysand ReGenesis, as well as the award-winning film Marion Bridge. Though Page was first introduced to American audiences in the Lifetime TV movie Homeless to Harvard: The Liz Murray Story, she received her first real publicity for the provocative 2005 indie thriller Hard Candy. Her haunting performance as a 14-year-old victim-turned-attacker caught the attention of director Brett Ratner, who cast her as Kitty Pryde in Page's first big-budget feature, X-Men: The Last Stand. But it was Ellen Page's 2007 performance as a pregnant teen in the much heralded indie dramedy Juno that put her in the international spotlight. Her quick wit and hidden vulnerability as the wise and innocent Juno McGuff earned the young star an Academy Award nomination for Best Actress. Her other projects include Whip It (2009) and Inception (2010). Page currently resides in her hometown of Halifax. 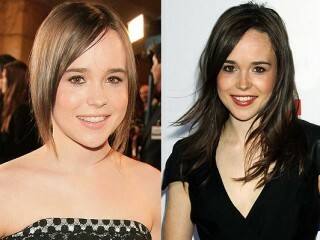 View the full website biography of Ellen Page.